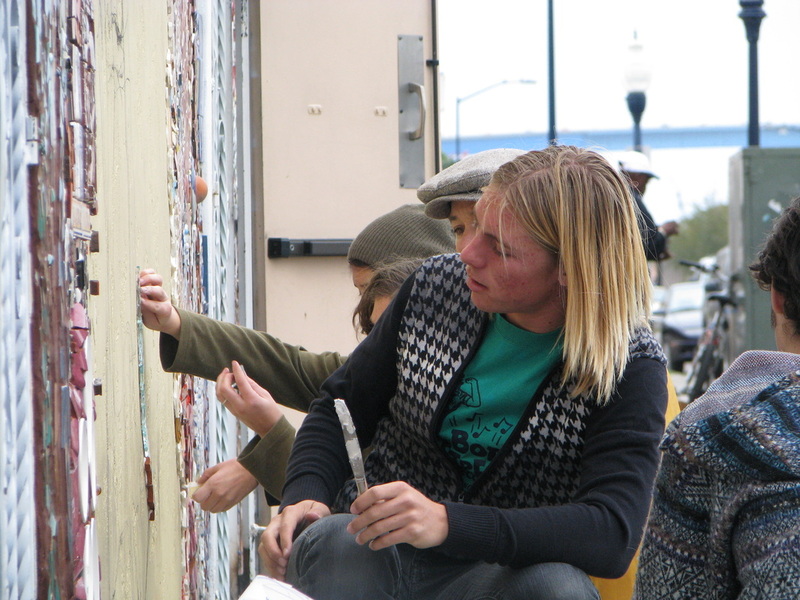 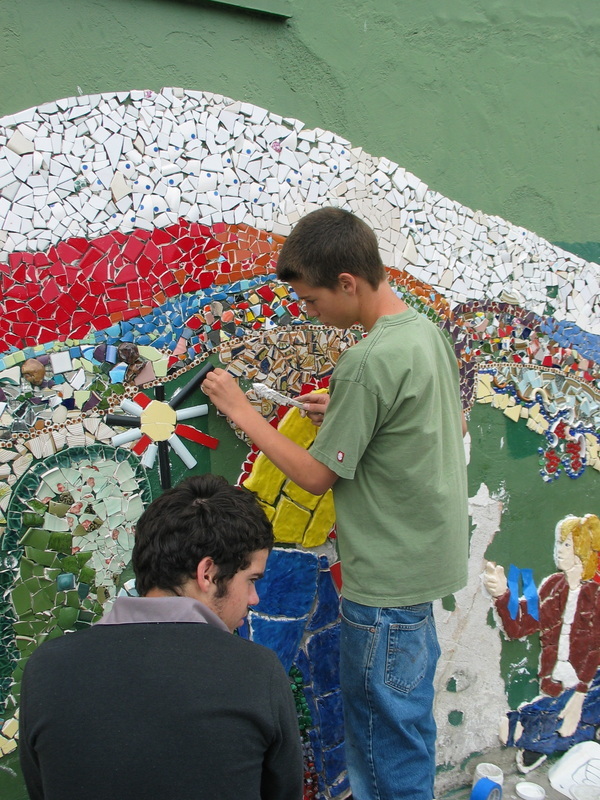 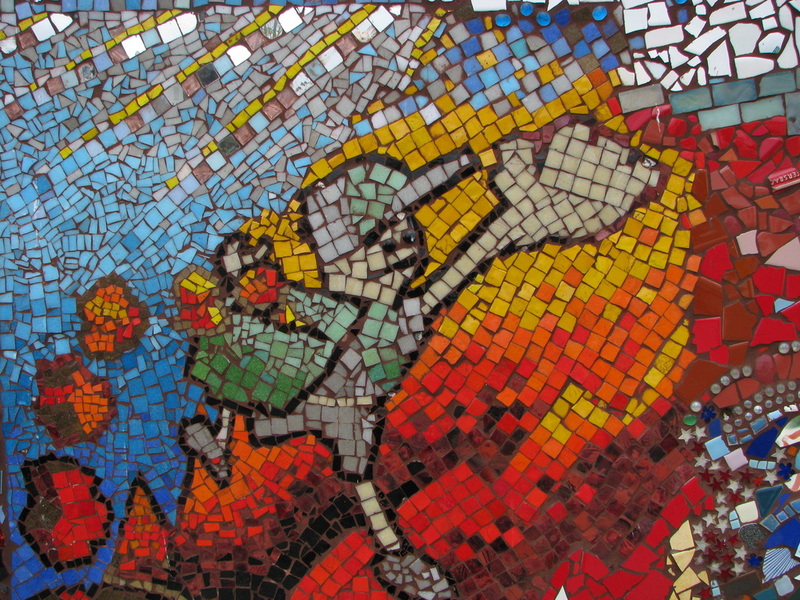 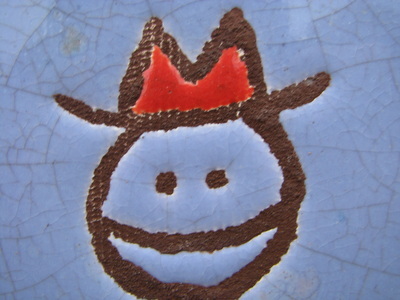 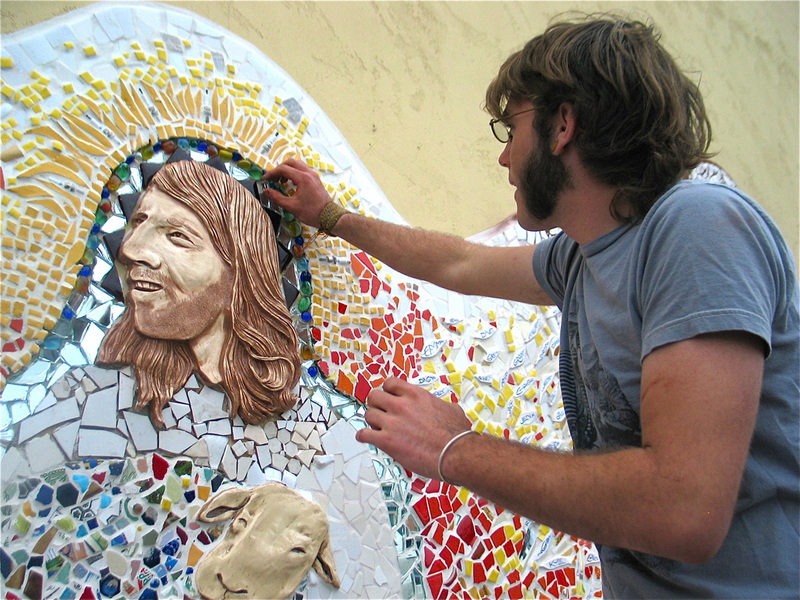 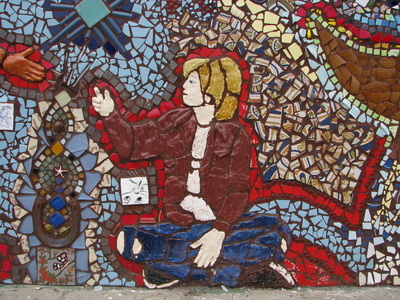 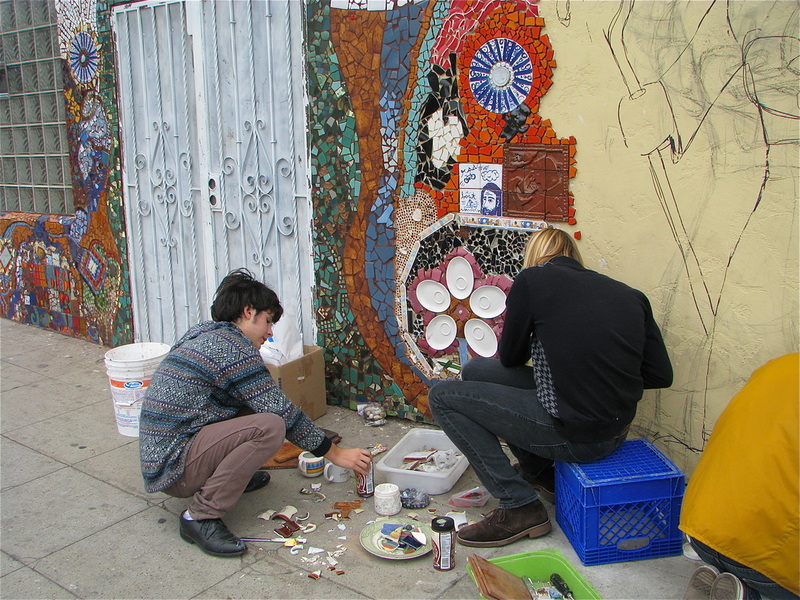 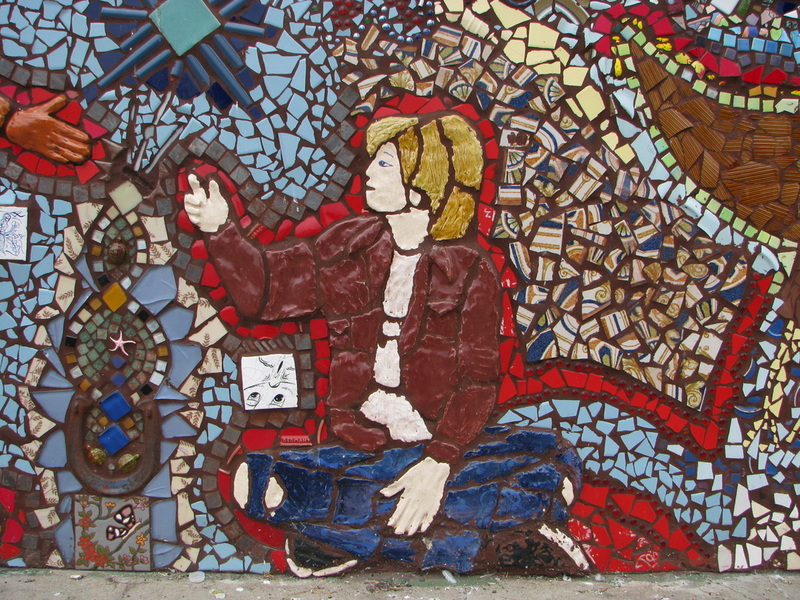 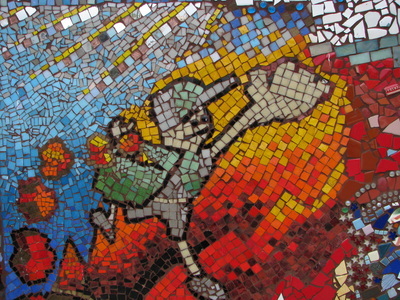 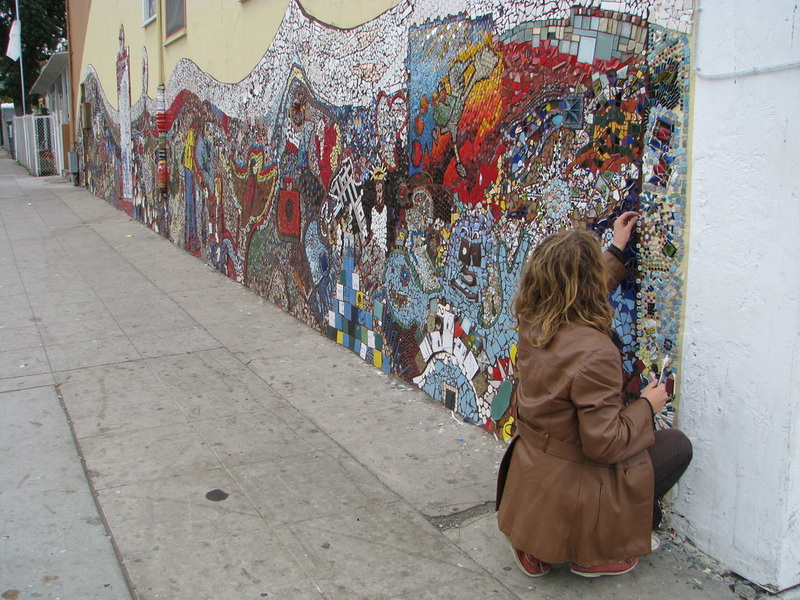 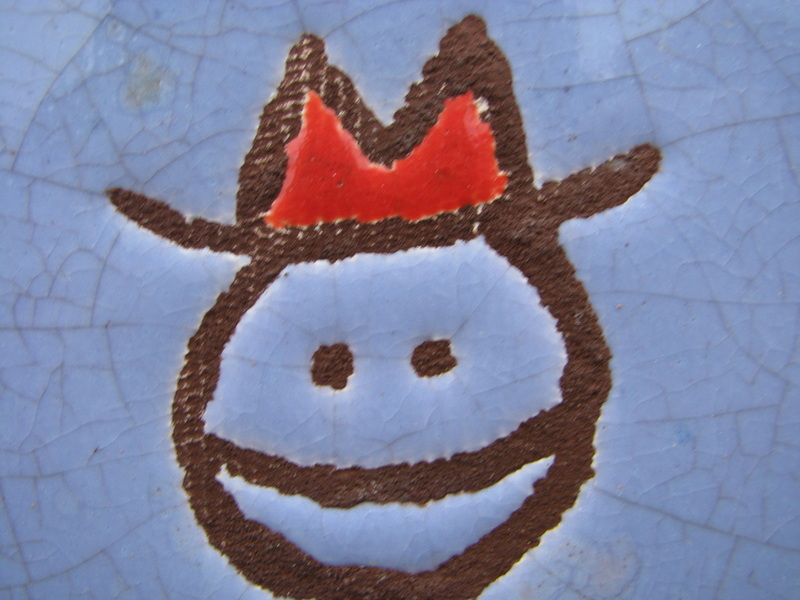 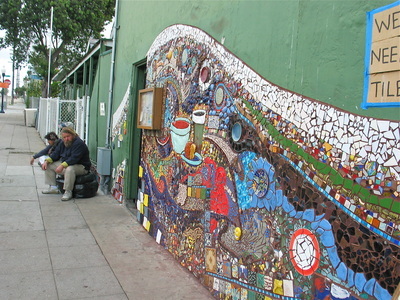 Back in February 2005, myself and another student, Wes Mahoney, started a mosaic on the side of the homeless shelter called God's Extended Hand on the corner of 16th and Island. 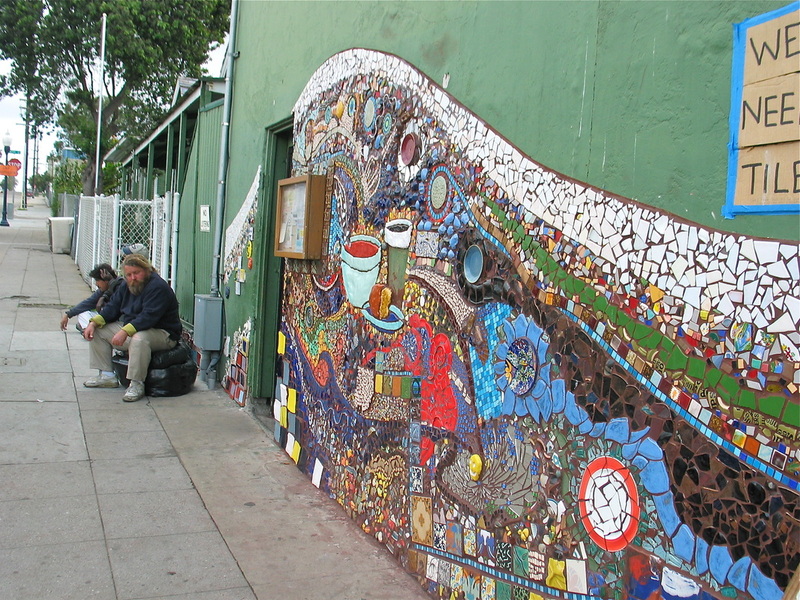 Little did we know at the time that the City of San Diego wanted to 'eminent domain' this shelter with the idea "if you get rid of the homeless shelters, you'll get rid of the homeless." 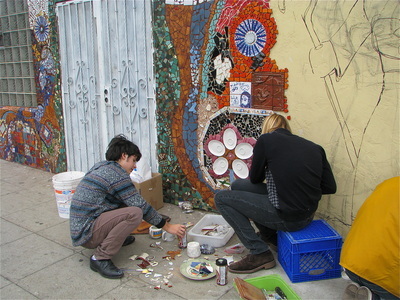 About a year later into our mosaic, the city changed their minds after seeing the progress of the mosaic. 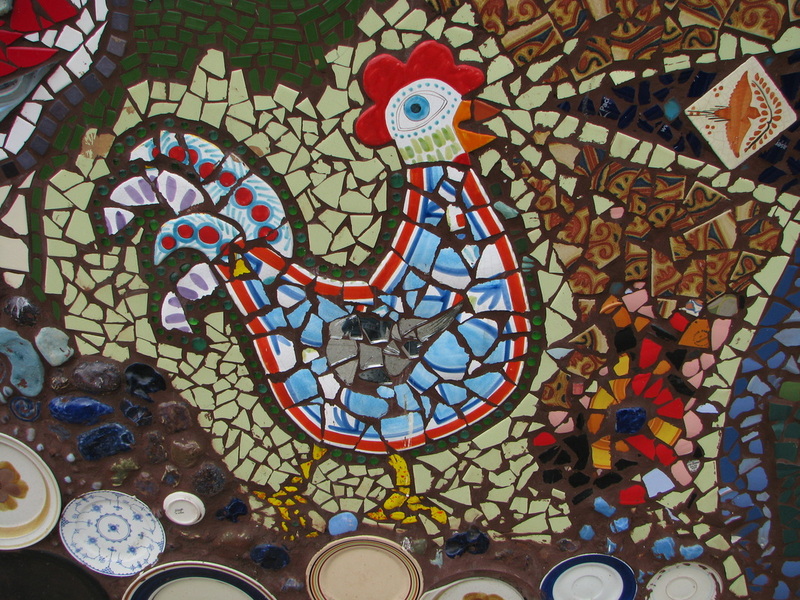 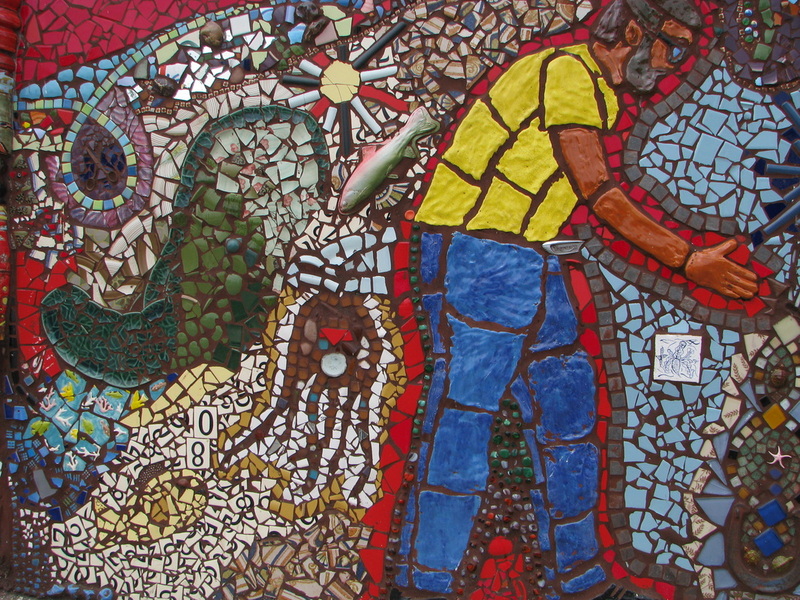 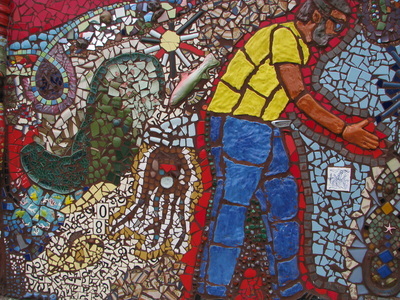 With over 90 helpers, it was finished in March 2009, and now the City of San Diego has now put this mosaic on their Arts & Culture map for the Board of Tourism. 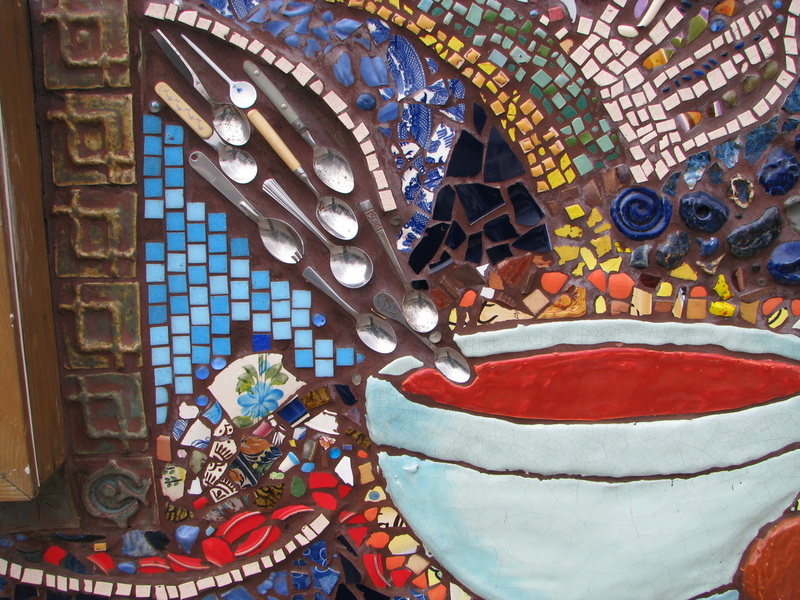 This attests to the power of color and design.